I would not claim to be a garment maker, I'm a quilter. But, that said, I do make garments, and I do buy fabric, kind of a lot of fabric, that I intend to make into garments. And I'm a mom, as many of you are. And as a mom who sews, who has a mom who also sews, who has a mom who has made clothes for me and my sisters, it's in my genes to make the occasional object for this or that child, who will invariably wear it once or twice, then forget it exists. 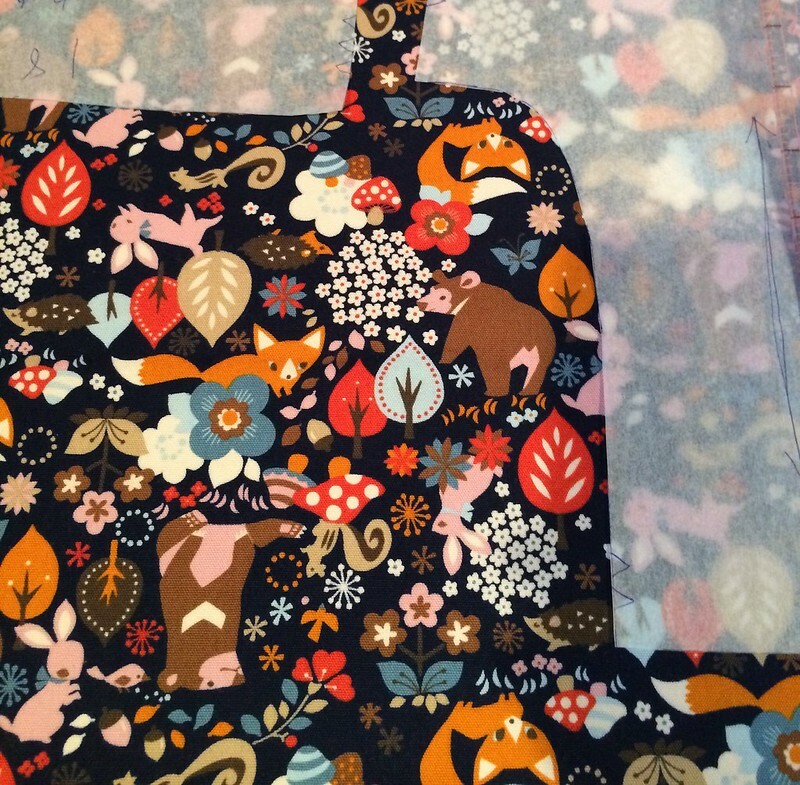 My older child and I have a difference of opinion on color and style, or maybe, when I make clothes I like making dresses, because they're comparatively simple, generally don't require much fitting, and she does not wear dresses unless under duress. Having recognized my error, but still having a need to make things for her, I turned to what she does wear, that I could manufacture, and decided on shorts. I'm working up to shirts, I swear. Now I have made skirts, and intend to make shirts, too, out of quilting cottons, but for something pants-like, that is stressed and scuffed about, I prefer the slightly heavier weight of an oxford. That said, I will probably still make shorts out of quilting cotton because I love prints above everything, but, still, in a perfect world, I would choose the oxford. If you haven't actually held an oxford, they are just a hair heavier than the heavier quilting cottons. They've got a texture like the linen cotton blends, and a certain innate stiffness, which makes them great for bags, but they wash up super soft, too, which makes them great for clothes. They are a bottom weight fabric, more suited to skirts and pants than to shirts. And I have put them in quilts, too, they're wonderfully versatile. And soft! Much like a lightweight corduroy, but without, of course, the wale. And there are many more in the Oxford Collection, including four that are cat themed. 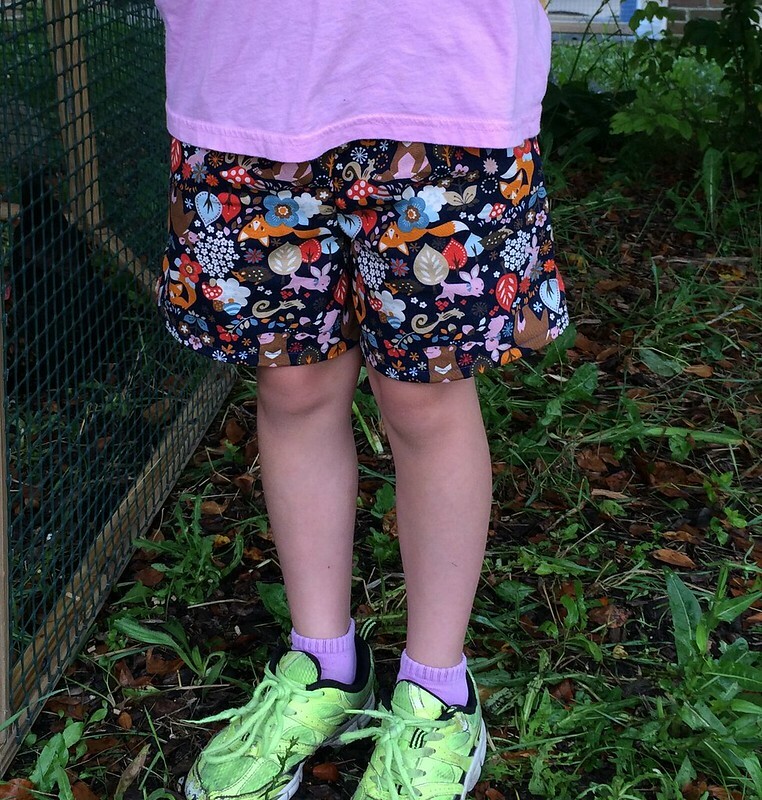 As for me, I made shorts with contrasting pockets in quilting cotton (this design is from Sarah Jane's line before last), and an elastic waistband. No problems with the gathers, because oxford is not particularly dense. And she wore them. I have proof. They'd also make great jackets, but I'm not that brave. Yet. 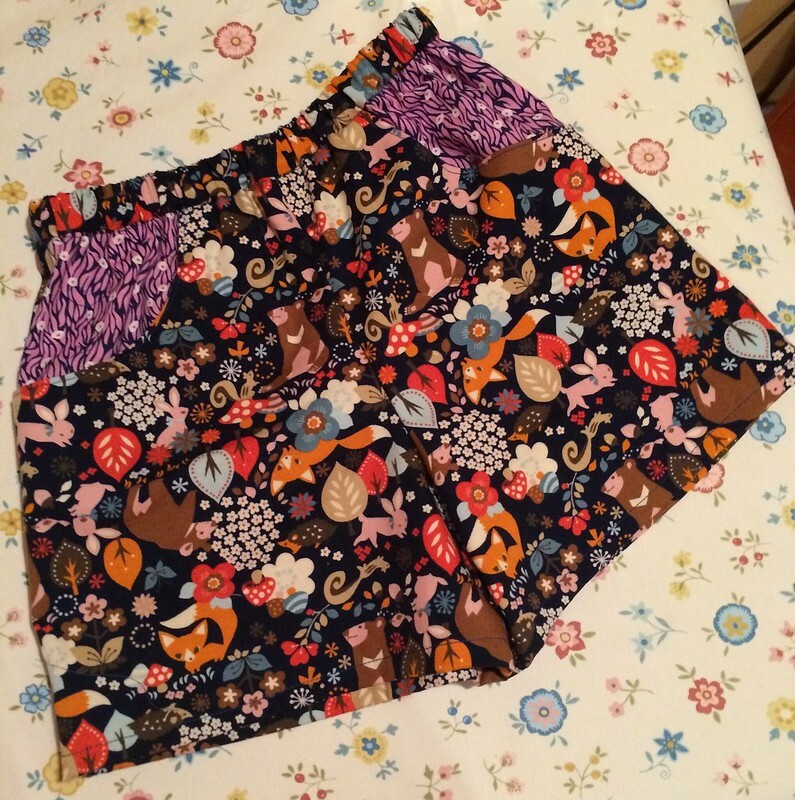 I'm also in the market for a pattern for women's shorts for me, because I have just the perfect oxford picked out, so let me know if you've seen (or better yet, used) a good one! Now that I've made kid shorts, I'm ready to move on to the next challenge.